Anti-Semitism is "unfortunately too often" evident in society, Chancellor Angela Merkel has said in her weekly video podcast. 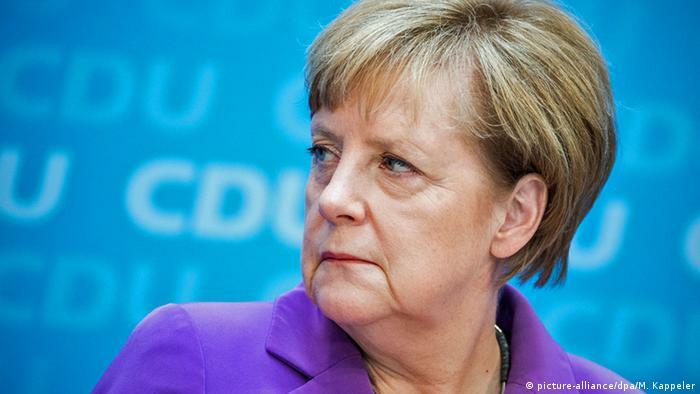 Germany still has a "big task," she says, to resist hate speech and uphold its constitution. Merkel called on Germany's 81 million residents on Saturday to be uncompromising in resisting anti-Jewish sentiment, urging every adult to intervene if he or she saw signs of it emerging in schools or elsewhere. Deletion of hate messages in social media was important, Merkel said, referring to recent pressure from Justice Minister Heiko Mass on Facebook to comply with anti-racist passages in Germany's statutes. Such tendencies, she said, extended to newly arrived young refugees from countries where hate against Israel or against Jews was prevalent, without naming majority-Muslim Middle Eastern nations. Mounting concern over anti-Semitism, expressed for example by the President of the Central Council of Jews in Germany, Josef Schuster, must be taken seriously, Merkel said. Her remarks, made to an interviewer on her government website , precedes the opening on Monday of an art exhibition at the German Historical Museum in Berlin. It will feature some 100 items from Israel's Yad Vashem memorial to six million European Jews murdered by Nazi Germany under Hitler. She described Yad Vashem's provision of the exhibits as a display of trust, which reminded Germans of their "everlasting responsibility" for the Shoah. 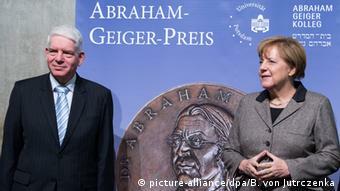 It was important that every generation dealt with German history, so that young people understood the many contributions made by Jews to German science, culture and economic development, she added. When she recalled what Germany had lost in terms of Jewish life through Nazism - from the late 1920s until 1945 - it was matter of "great agony," Merkel said. "All the more, it means today to welcome Jewish life, to combat anti-Semitism, and here not to allow any compromises," she said. Her podcast coincided on Saturday with a meeting of Germany's anti-foreigner movement Pegida with representatives of like-minded far-right groups from 14 European countries at Roztoky, near Prague in the Czech Republic. They intend to stage a series of demonstrations on February 6 in European nations, including the Czech Republic, Poland and Germany. Pegida, an Islamophobic movement, began in Dresden in late 2014 as a major influx of refugees into Germany, mainly from war-torn Syria, was in its early stages.